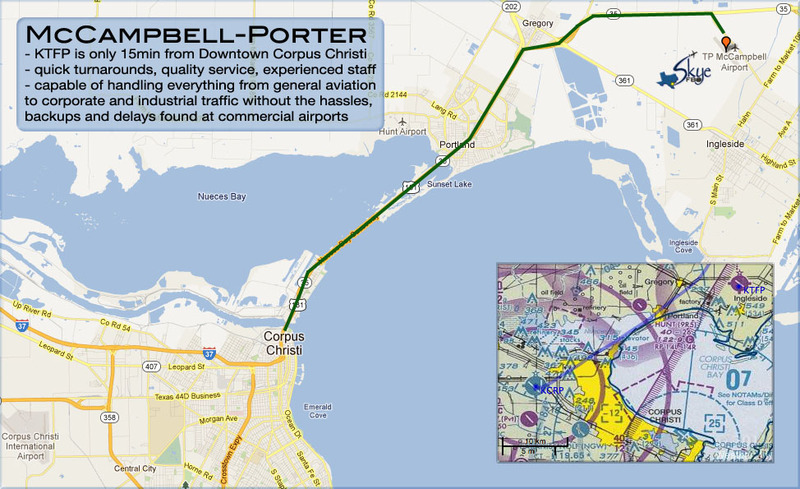 Ideally located just 15 minutes from downtown Corpus Christi, Texas, Skye FBO is the premier F.B.O. capable of handling everything from general aviation to large corporate jet traffic without the hassles, backups and delays you'll find at the other major commerical airports. We specialize in taking care of your needs. Quick turnarounds, quality service and an experienced staff has made Skye FBO a regular stop for many large and small corporate flight departments.